Green Hounds Tooth Love Seat - Sew What? Sew Anything! 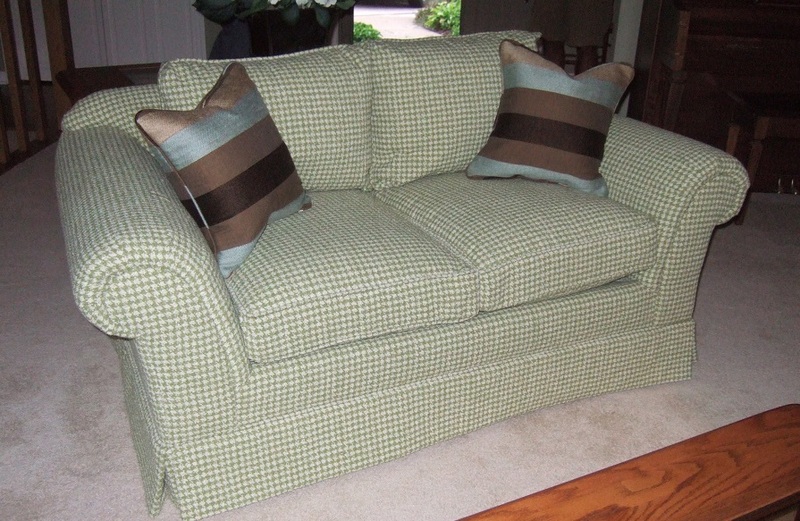 This was one of my first larger re-upholstered pieces, a green hounds tooth love seat. The MSU green and white hounds tooth fabric added so much fun to the room remodel. My client loved this fabric and wanted small boxed pleated valances made to add more of the fabric to the room. Robert Allen fabric pillows serve as an accent and help to pop the sofa fabric.